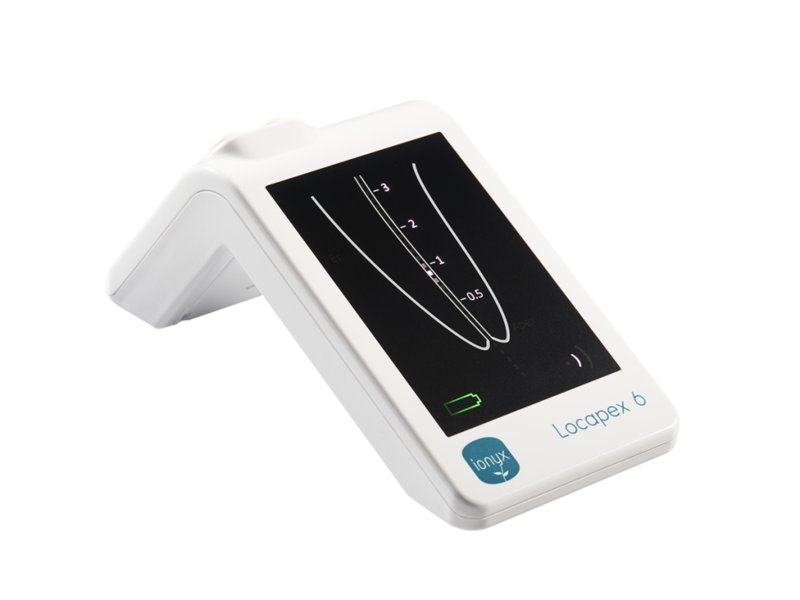 The Locapex 6 is a simple and robust machine. Upgraded from the Locapex Five, it keeps the same characteristics that made the success of its predecessor. Your IONYX apex locator allows you to work safely with two standard LR03 (AAA), batteries. 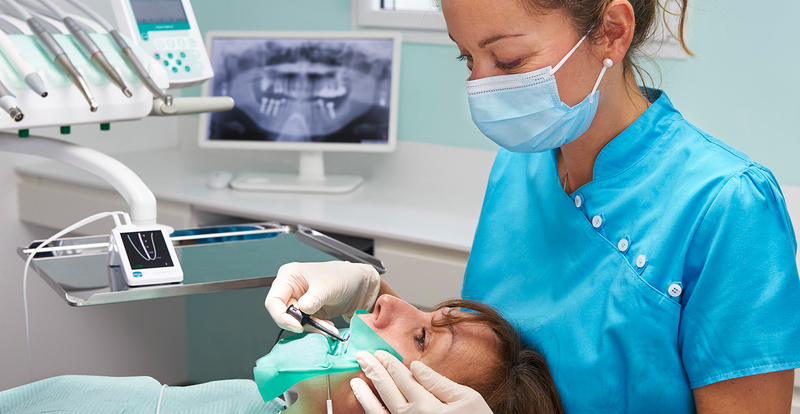 The autonomy can vary from 6 months to more than 1 year depending on your activity in endodontics. The quality of measurement remains the same, regardless of the level of the batteries. A signal filtering system enables your Locapex 6 to eliminate false signals during the progress of your file in the canal (virtual apex). 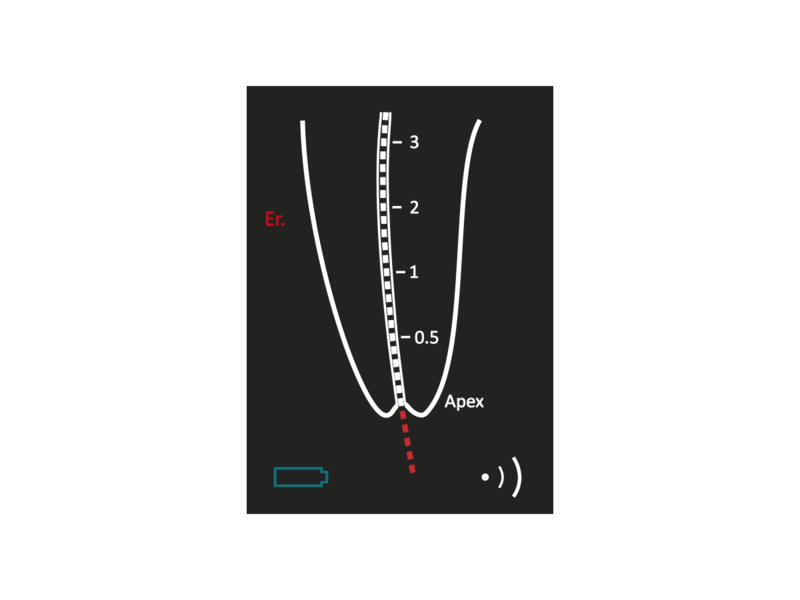 Its more compact new design, offers a precise view of the apical excess at the level of the foramen. Why should you choose the Locapex 6? The signal sent by your Locapex 6 is 100% digital. There is no drift or modification of the accuracy of your IONYX apex locator in time. The instantaneous measurement enables you to obtain the information about the position of your file in the canal from the moment of the contact of the tip or your file grip. This angle allows you to view the progress of your file toward the apex, regardless of the position of your device. 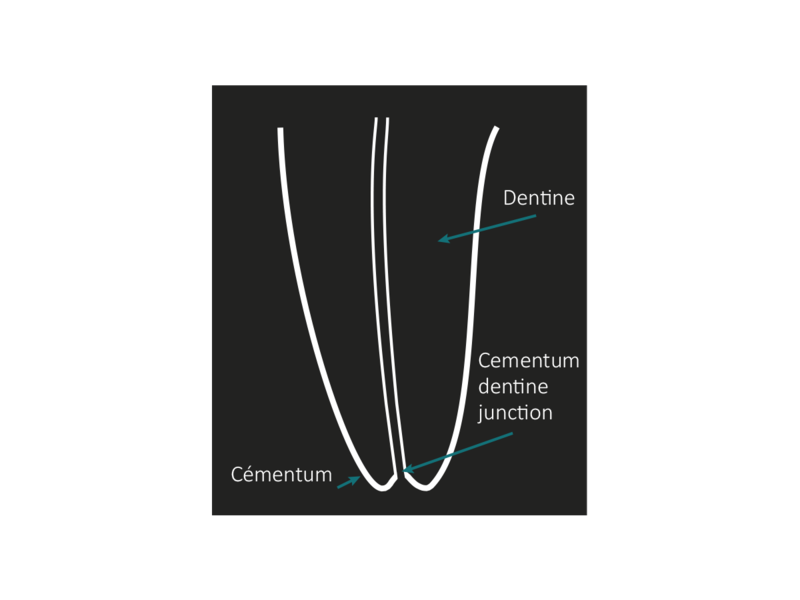 The apex on the display corresponds with the cementum-dentine junction. 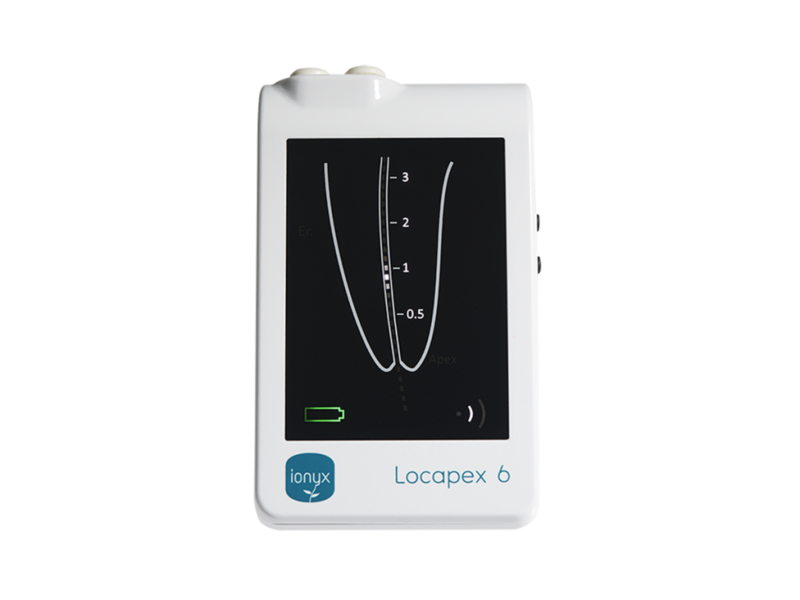 You can order the new Locapex 6 by contacting our Commercial Department by mail at ionyx@ionyx.eu or look for a distributor near you !